EU leaders have agreed to a new extension of the Brexit deadline to Oct. 31, which incidentally, and perhaps befittingly, falls on Halloween. 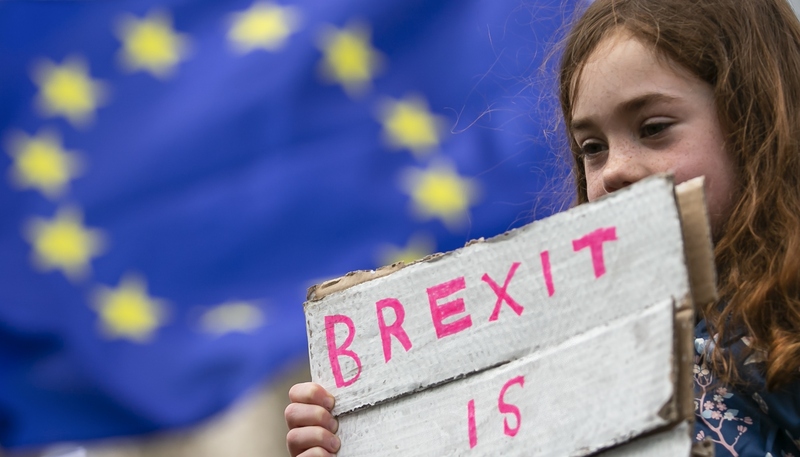 In doing so, EU leaders refused to accept Prime Minister Theresa May's plea for a June 30 deadline, in the hope that by perhaps granting extra time, Britain will not come back again to request for yet another extension. However, there is little reason to assume that Brexit will be resolved by October either. Nearly three years after a majority of British nationals voted to leave the EU in the Brexit referendum, no one has yet a clue when, or even if, Britain will actually leave. The Oct. 31 deadline is the second extension of Britain's departure date. It was required because Theresa May's own Conservative Party MPs rejected the deal she agreed with EU leaders on three occasions. Following that, MPs from all parties attempted to break the deadlock by usurping the government's executive powers to determine the agenda of the parliamentary debate – only to finally reject all their own alternative scenarios. Meanwhile, outside Parliament, a strange pageant has developed. Everyday, pro-Brexit and pro-EU protestors draped in British and EU flags shout slogans at each other and at passing politicians. When the world's media outlets conduct interviews at their permanent encampment on College Green, in front of the House of Lords, protestors with megaphones yell their demands in the hope that their slogans will be audible during the broadcasts. Once revered around the world as the "Mother of Parliaments", Westminster today resembles a bizarre and surreal circus. On Mar. 23, the so-called People's Vote campaign organized a demonstration involving hundreds of thousands of people to demand a second referendum. They did this in the hopes of overturning the result of the first referendum, and remaining in the EU. This protest was further reinforced by an online petition signed by more than 6 million people. Other protests, against the "betrayal" of Brexit, were held on the initial departure date of Mar. 29. On that day, two rallies attracted about 30,000 people who marched on Westminster. In normal times, a general election would be called to break the deadlock. But with Jeremy Corbyn at the helm of the opposition Labour Party, and therefore, the most likely candidate to become Prime Minister, Conservative Party MPs are unwilling to entertain the possibility of an election. However, in the last two weeks, Theresa May has been discussing the Brexit issue with Corbyn and is hoping to find some sort of compromise that can command a parliamentary majority. So far, it seems that discussions are going around in circles with little movement, primarily because, no matter what Theresa May might like to do, she is embedded in a party that is increasingly dominated by the views of the belligerent European Research Group (ERG) faction. Their leading spokesperson, Jacob Rees-Mogg MP, regards cross-party talks with Jeremy Corbyn as the ultimate treachery, both to Brexit and to conservatism itself. Rees-Mogg denounces Corbyn as a Marxist and believes that Theresa May is legitimating Corbyn by negotiating with him and his team. The ERG faction is strongly opposed to Theresa May's deal with the EU and would prefer to leave the EU without any deal. In their view, adopting a militant negotiating posture with the EU is more likely to win concessions. They also feel that Theresa May's discussions with Corbyn have undermined the ERG's influence over the government. Consequently, Rees-Mogg has suggested that any new Conservative leader who replaces May, should engage in guerrilla warfare tactics to sabotage the EU from the inside, thereby forcing them to submit to British demands. He hopes that such an open battle with the EU could salvage the Conservative party's honor. In truth, the ruling Conservative Party is on the verge of disintegration. Its crisis is exacerbated by the fact that Theresa May has promised her MPs that she will resign as soon as Parliament agrees on a way forward with the EU. When this eventually happens, the ensuing leadership contest will almost certainly see the election of a candidate like Boris Johnson, an ardent Brexiteer, who reflects the views of the party's grass roots, who are in turn fervent opponents of the EU. It is a legal requirement of the latest extension to Britain's EU departure date that elections to the European Parliament be held between May 23-26. This will certainly produce a disastrous result for the Conservative Party, and will reveal a rise in support for the most vociferous proponents of the Leave and Remain camps, as both sides exploit the vote to vent their anger and frustration. Thus, the polarization and recrimination on Brexit is set only to continue and escalate. A truly Halloween-esque Brexit is now on the horizon. But interestingly, the word "horizon" is defined as an invisible line between the earth's surface and the sky – each step closer towards it, only ensures that it moves a step further away. The EU gives yet another Brexit extension, but there is still no end in sight to Britain's ongoing political stalemate.